Hajj Excellence Award: Max Airline, Flynas, and Medview Airlines. 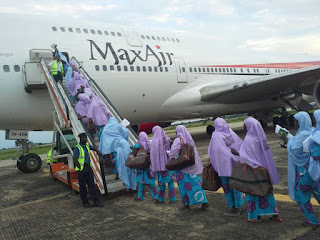 Which of the above airline can be rated as the best during 2018 Hajj? With the use of Max airline Aircraft vividly illustrated in your picture, a clue has already been given.